I wrote Okatibbee Creek in 2012. It has become an award-winning book and a story many people seem to treasure. I’m often asked where the story came from…so here ya go. She was just a name in my family tree. Mary Ann Rodgers Carpenter Jolly. My third great grandmother. 1828-1898. I visited her grave at Bethel Cemetery in Mississippi in 2012, and my husband asked, “Now, who is this again?” I sat with him at the foot of her grave and told him her story. I first discovered she lost her husband, Rice Carpenter, in the Civil War in 1862. How sad to lose the one you love, but hey, it’s war, people die. After he died, she remarried in 1864. I looked at the 1870 census and found she married William Jolly and was living with his children, her children, and three children they had together. It was a house-full! But at least their three children were proof they must have liked each other, right? That’s good. I was interested in where William came from, so I traced him back and looked at his 1860 census. In 1860, he was living with his wife Harriet, their four children, and a woman named Nancy Carpenter who was 69 years of age. Nancy Carpenter? The only Nancy Carpenter I know is Rice’s mother. Why was Mary Ann’s mother-in-law living with her future husband in 1860?? Were they neighbors? Was Nancy the cleaning lady? I clicked on Nancy Carpenter and saw her relationship to the “head of house” was listed as “mother-in-law.” She was William’s mother-in-law? What?? She was Harriet’s mother? So, I went back and looked at Rice’s family, and sure enough, his sister Harriet was married to William. Rice died 31 Dec 1862 and Harriet died a month later of typhoid on 30 Jan 1863. Their spouses, Mary Ann and William, brother-in-law/sister-in-law, married in 1864. Well of course they did. They had known each other for many years, hadn’t they? 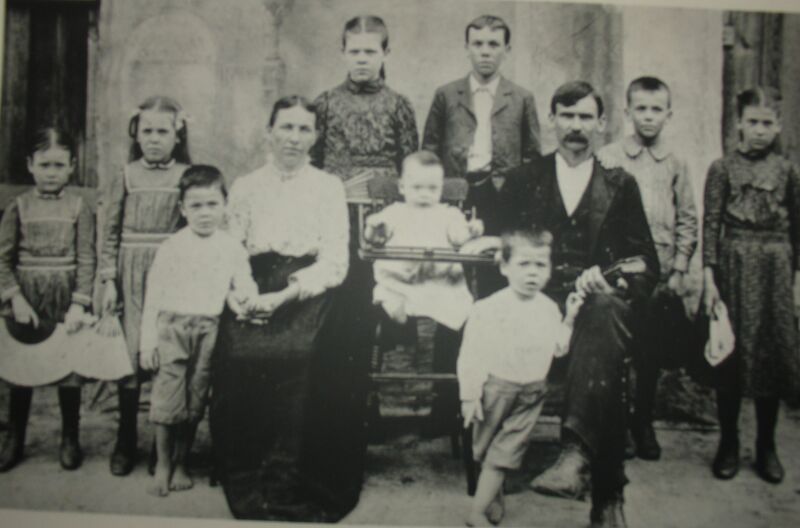 The more I looked at the Rodgers and Carpenter families, the more I was amazed by the sheer number of family members they lost to war and typhoid. At the time of my research, I remember counting SEVENTEEN, but I’m sure there were many more I missed. I couldn’t wrap my head around that kind of heartache and quickly became impressed with Mary Ann’s strength. How would you react if you lost two or three family members this year? You would probably need Prozac. How would you respond if you lost a dozen? I wouldn’t even be able to get out of bed. Seventeen in one year? I can’t even fathom that. We all come from these strong women. We are the living proof of their strength. If the boat sank, the story would be over. But it didn’t, and we know that because we are here. We are the survivors. I dug deep down in my heart and soul and decided to tell her story, a story she would be proud of. I wanted her to know that she didn’t endure all of that heartache in vain. I am here. I am her legacy. Her story has been told to make us see the strength in our own hearts. We are the products of strength, fortitude, and integrity, as well as tears, heartache, and pain. We are the children our grandmothers fought so hard for, and I want Mary Ann to be as proud of me as I am of her. Okatibbee Creek is available on Kindle at Amazon for only $0.99 March 4-8. You may also want to pick up a box of Kleenex. Okatibbee Creek (pronounced oh-kuh-TIB-be) is the story of Mary Ann Rodgers Carpenter Jolly and her trials and tribulations in Mississippi during the Civil War. As her brothers and husband went off to war, a deadly typhoid epidemic swept through the county and decimated what was left of her family. Following the loss of so many loved ones, including both parents, she took in her orphaned nieces and nephews and focused on survival. When the war finally ended, she had to pick up the pieces of her shattered life and begin anew. But how? Okatibbee Creek is a real place. The characters are real. The events are real. The book will leave you crying and cheering. It is written in first person, present tense, diary-style, allowing you to see inside of Mary Ann’s heart and experience every emotion she felt. 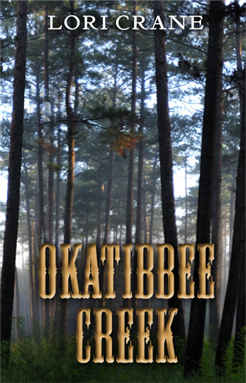 The Kindle version of Okatibbee Creek is on sale at Amazon March 4-8 for only $0.99! The following is a snippet of the scene when Mary Ann received word that her husband had been killed in the war. When I reach the bottom of the stairs, I see him. I do not recognize his face, but I recognize his clothing. He is a Confederate soldier. He is standing in the open doorway of the store with the gray, cloudy sky at his back. He is dressed in a wrinkled gray uniform with a dirty yellow cummerbund. His trousers have holes in them, with mud caked around the bottoms of his pant legs. His jacket is missing some buttons, and he looks quite thin and weary. He is wearing shoes that are covered in red Mississippi mud and probably have no soles on the bottom. He is holding his tattered hat and a piece of paper in his dirty hands. “Hello, sir, what can I do for you?” I ask as I approach. “Private Joseph Brown, ma’am. Captain asked me to deliver the latest casualty list to you in person.” He holds the folded piece of paper toward me and looks down at the floor, like a child in trouble for doing something wrong. “Why are you delivering this? It usually comes by a mail carrier,” I ask as I reach for the paper. I look at the boy’s face. He nervously avoids my eyes and keeps staring at the floor. “Why are you delivering this to me?” I repeat. “I promised I would. I’m sorry, ma’am. Goodbye, ma’am,” he murmurs, and backs out the open door. I look at the piece of paper in my hand for a long time, wondering if I can open it. I don’t know whose names are on this paper, but I suspect the worst, and I don’t want to read it. My eyes sting with tears as I dread a simple piece of paper. I try to unfold it, but my hands are shaking, so I stop and hold it to my chest. I take a deep breath. Martha Jane stands behind me, not saying a word or making a sound. “Martha Jane, will you please go upstairs and mind the children for a few minutes?” I ask her. She nods and quietly heads up the stairs. I walk outside across the wooden porch and down the two stone steps onto the ground. I walk across the dirt road that is now filled with puddles of red mud from the rain. I keep walking straight ahead. I walk into the overgrown field across the road. I walk with purpose, with determination, like I have somewhere important to go. I want to run. I want to run away and never come back. I keep walking. In the middle of the field, the thunder sounds above my head. I stop and look up at the ominous clouds that are almost as threatening as the piece of paper I hold in my hand. My hands are shaking as I slowly unfold it and smooth it open. My stomach feels like it has a hole in it. My eyes fill with tears. My hands are now trembling so violently, I almost can’t read it. The name at the top is the only name I see. Drops of water fall onto the page, but I can’t tell if they are raindrops or teardrops. Even God Himself is crying. Okatibbee Creek is available March 4-8 for only $0.99 in Kindle at Amazon. Paperback and audiobook are also available. It is the first of three Okatibbee Creek Series books, but they are stand-alone stories. The second is An Orphan’s Heart. The third is Elly Hays. Okatibbee Creek was the bronze medal winner of the 2013 eLit Book Awards in literary fiction. It also received honorable mention in the 2013 Great Midwest Book Festival for regional fiction and was a nominee in the 2013 Global eBook Awards for historical fiction. It was also awarded Five-Stars at Readers’ Favorite. 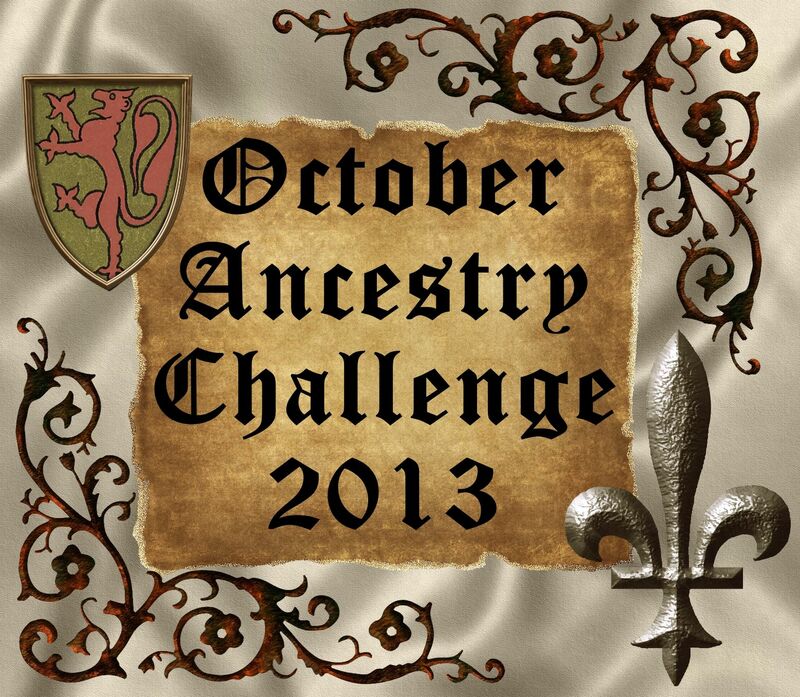 The October Ancestry Challenge 2013 23 posts – 23 days – 23 ancestors. She was just a name in my family tree. Mary Ann Rodgers Carpenter Jolly. My third great grandmother. 1828-1898. I discovered that she lost her first husband, Rice Carpenter, in the Civil War in 1862. How sad to lose the one you love, but hey, it’s war, people die. After he died, she remarried in 1864. I looked at the 1870 census and found she was married to William Jolly and was living with his children, her children, and three children they had together. It was a house-full! But at least their three children (Ancestor #15) were proof they must have liked each other, right? That’s good. I was interested where William came from, so I traced him back and looked at his 1860 census. In 1860, he was living with his wife Harriet, their four children, and a woman named Nancy Carpenter who was 69 years of age. Nancy Carpenter? The only Nancy Carpenter I know is Rice’s mother, whose maiden name was Nancy Rice. Why was Mary Ann’s mother-in-law living with her future husband?? Were they neighbors? Was she their cleaning lady? I clicked on Nancy Carpenter and saw her relationship to the “head of house” was listed as “mother-in-law.” She was William’s mother-in-law? What?? She was Harriet’s mother? So, I went back and looked at Rice’s family, and sure enough, his sister Harriet was married to William. Rice died 31 Dec 1862 and Harriet died a month later on 30 Jan 1863. Their spouses, Mary Ann and William, brother-in-law/sister-in-law, married in 1864. Well of course they did. They had known each other for many years, hadn’t they? Years, numbers, and names from census records are just that – years, numbers, and names – unless you put yourself in their shoes. Then they become tears, children, and heartaches. We all come from those strong women. We are the living proof of their strength. If the boat sank, the story would be over. But it didn’t, and we know that because we are here. We are the survivors. I dug deep down in my heart and soul and decided to tell her story, a story she would be proud of. I wanted her to know that she didn’t go through all of that in vain. I am here. I am her legacy. Her story has been told to make us all stronger. We are the products of strength, fortitude, and integrity, as well as tears, heartache, and pain. We are the children our grandmothers fought so hard for, and I want Mary Ann to be as proud of me as I am of her. Ludie, Alice, and John were children of my 3rd great grandmother, Mary Ann Rodgers Carpenter, and her second husband, William Jolly. 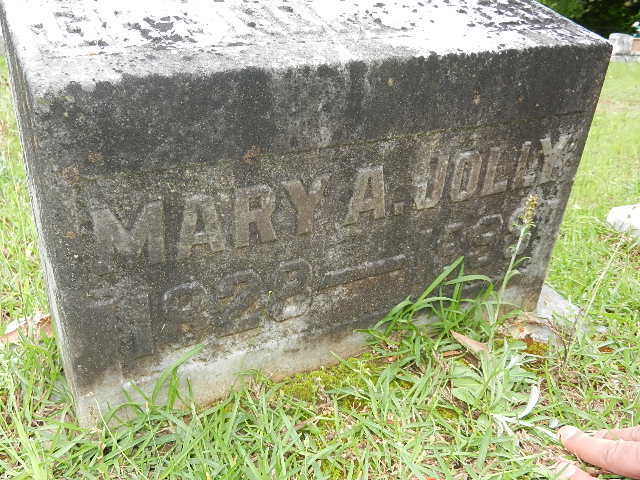 Mary Ann had married Rice Carpenter and had a handful of children before he was killed in the Civil War on Dec 31, 1862. William Jolly had married Rice’s sister, Harriet Carpenter, and also had a handful of children before she died of typhoid in Jan 1863 – only a month after Rice died. I imagine Mary Ann and William (brother-in-law/sister-in-law) were a good support system for each other at the time. So much so, that in 1864, they married. Their children, who were once cousins, became 1/2 siblings. 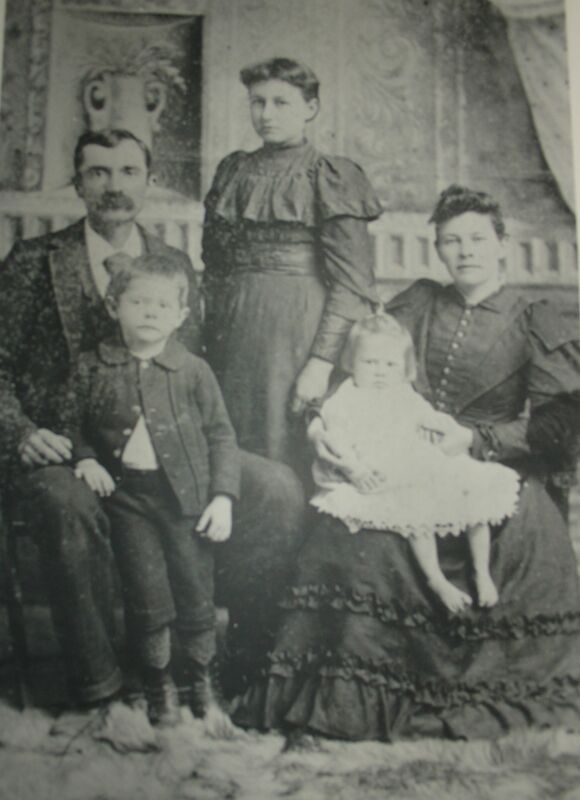 And to make the family even more complicated, in 1866, 1867, and 1869, they had three of their own children: Sarah Louella “Ludie” Jolly, Alice Jolly, and John Jolly. I feel as though I am closely related to the Jollys, but since I am a descendant of Mary Ann and Rice, it feels as though I’m not really related to them at all. It’s like they’re a different family. Ludie, Alice, and John would be my 1/2 aunts and 1/2 uncle. I’ve never even heard of such a thing. …and Alice married Jeff Williamson. I know what you’re thinking, and no, they weren’t brothers. I breathed a sigh of relief, too. Ludie moved to Louisiana and had, ready?, FIFTEEN kids! Alice remained in Mississippi and had four kids. Their little brother John first married Missouri Johnson. 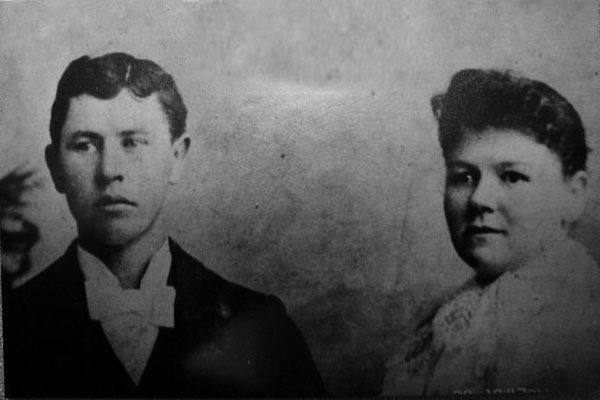 On Dec 7, 1891, she gave birth to their first child, a son, and on Dec 14, she died of complications. In 1894, John found love again and remarried. Guess what her name was? Yep, Johnson…Bettie Johnson. I’m not going to tell you the women weren’t related because I don’t know for sure. I can’t find much info on Missouri. I will tell you one thing for sure, even though I don’t have a photo of my 3rd great grandmother, Mary Ann, I can tell by her children that she was a beautiful woman!